Whether you’re a firearms enthusiast, or looking to learn to be a responsible gun owner…this next event is for you. Baret is one of the most popular firearms instructors in the world on social media, and he’s hosting an event April 13th! The “try before you buy event” is this Saturday from 9am to 3 pm at Old Union Christian Church in Poseyville. 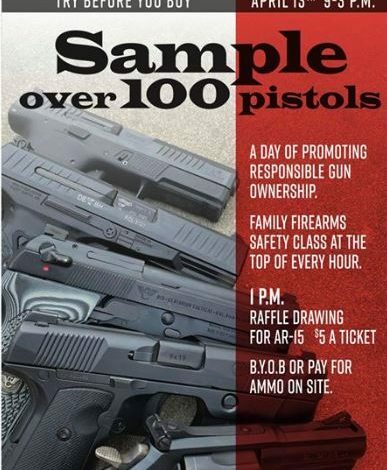 They’ll have family firearms safety classes at the top of each hour! Over 100 pistols you can sample. And for $5, you can enter the raffle.